Sunderland and Everton players will wear the logo of the Bradley Lowery Foundation on their shirts for Wednesday night’s Carabao Cup third-round clash between the clubs. The shirts will be signed and auctioned after the game at Goodison Park to raise funds for the Foundation, which has been formed by parents Gemma and Carl Lowery in memory of their six-year-old son Bradley, who died in July after suffering from terminal cancer. Its aim is to offer support, advice and encouragement to families undertaking their own fundraising campaigns to fund children’s medical treatment and equipment, and also to provide grants and work closely with families in need of guidance and support. 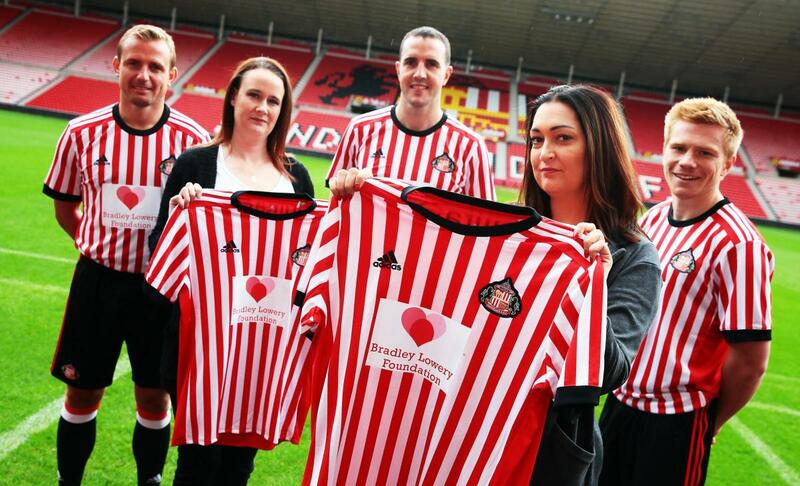 Gemma said: “We are absolutely thrilled to see the Foundation logo on the front of the shirts. The game has a very special meaning to myself and Carl and we are overwhelmed by the support we have received from Sunderland and Everton. Bradley captured the hearts of football supporters around the world during his regular appearances as a mascot despite his illness. Sunderland’s principal partner Dafabet has donated its space on the one-off shirt for the match, while Everton’s SportPesa branding will also be temporarily replaced. Zlatan gets three match ban!